The apartment is small but well maintained. Bright and welcoming. The city is located near Sofia. Svoge is a town in western Bulgaria, part of Sofia Province. 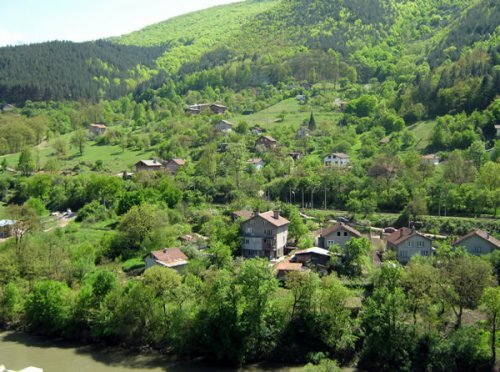 It is located in the gorge of the Iskar River, at the place where the mountains Mala planina, Golema planina and Ponor meet, 40 km north of the capital Sofia's centre. The city is one of the fastest developing in Bulgaria and is famous for its chocolate factory. 20 km from Svoge is one of the famous and most visited climbing places in Bulgaria with more than 300 climbing routes. My neighborhoods are good people. My name is Vladimir and I am a PhD student at The University of Sofia. I like rock music, Irish folk music and others. For more information my facebook is Vladimir Wolf.